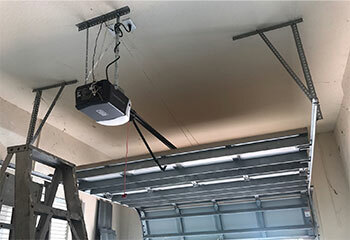 We carry a wide range of top brand garage door models, and offer our customers professional advice, as well as comprehensive repair services. See our latest projects for examples of what we can help you with. Customer Issue: Needed an opener that can move a double-sized door. Our Solution: Taking into consideration the width and the weight of the customer's door we recommended an opener with 1 ¼ horsepower. After presenting him with several options, the customer chose the Craftsman 954931 1-1/4 HP Smart Belt Drive model with built-in Wi-Fi and a battery backup. We set it up for him and made sure the device had no trouble moving the heavy panels. 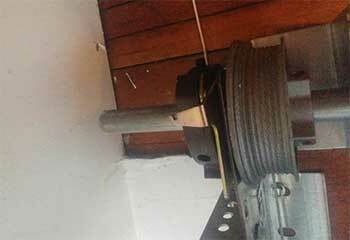 Customer Issue: Bent garage door track. Our Solution: Before removing the faulty part, we carefully closed the panels and disconnected the opener from the door. We then removed the entire left track and installed a new unit which was a perfect match to the right one. We made sure both units were correctly aligned and that the rollers could move inside them smoothly. Customer Issue: Lift cable about to break. Our Solution: Understanding the importance of strong cables led this customer to contact us after he discovered that one unit was significantly frayed. Our team removed the frayed cable and looped a new unit over the drum. We then adjusted it and tested the system a few times to ensure it could open and close safely. Our dedicated technicians are experts at every aspect. Using the best parts ensures that our repairs last for a very long time. Our team will get to you quickly when you need us to hurry. We have the most dependable service team in the city. You no longer have to clean out your bank account before contacting a professional garage door repair service. Our company is not only able to provide high-quality work carried out by skilled technicians; we also offer competitive prices for our services. We can help you with overhead door installations, maintenance and repairs in Midlothian. Browse our site to learn more! 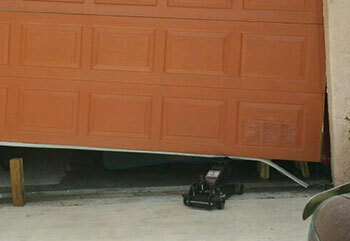 At Garage Door Repair Midlothian we hold your satisfaction above all. Count on our team when it comes to clean and professional work. Thank you for choosing our company! Feel free to browse our website for more information in the meantime. Our team at Garage Door Repair Midlothian is at your service any time!